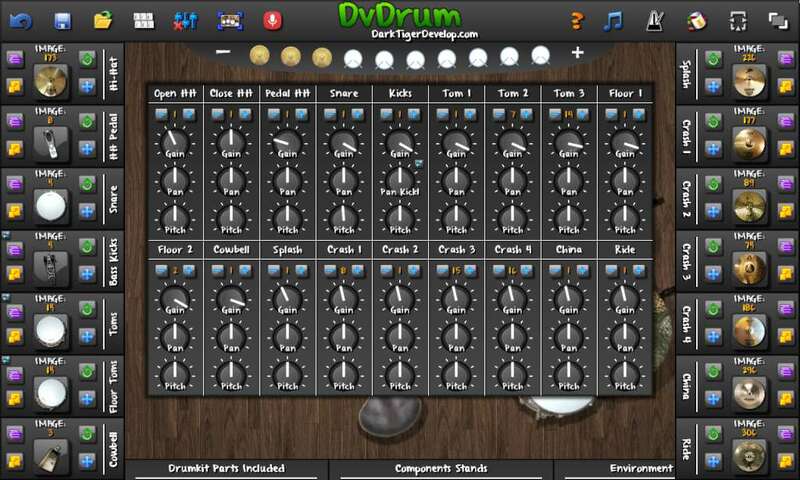 DvDrum is the Quality Drum Simulator. 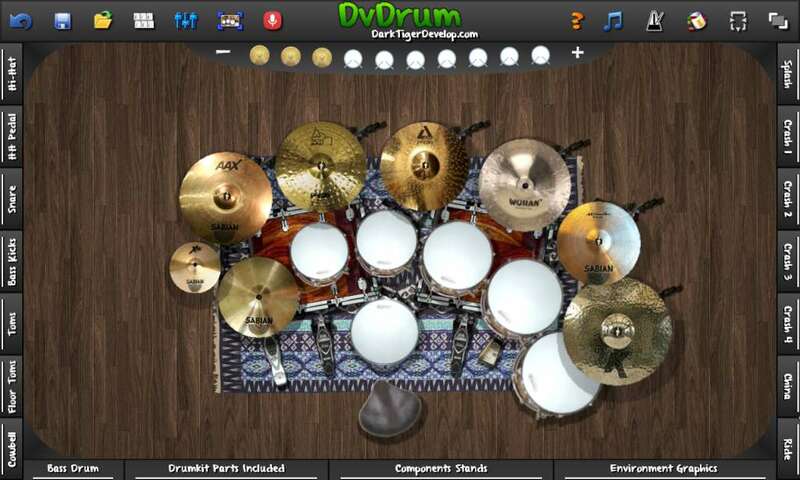 It allows to play a Virtual Drum with the Keyboard or an External Device, in Realistic Mode for a Real Drummer Experience. Change the composition of your drumkit, remove/add components. Change component graphic and sound, change the carpet, the floor and add some decorations. Hundreds of images and sounds, for endless possibilities for customization! You can create endless combinations of sound to your drumkit. Choose a sound from the hundreds of sounds and change the pan and pitch, to create a completely new! Import a saved SoundSet file to change immediately the sound! 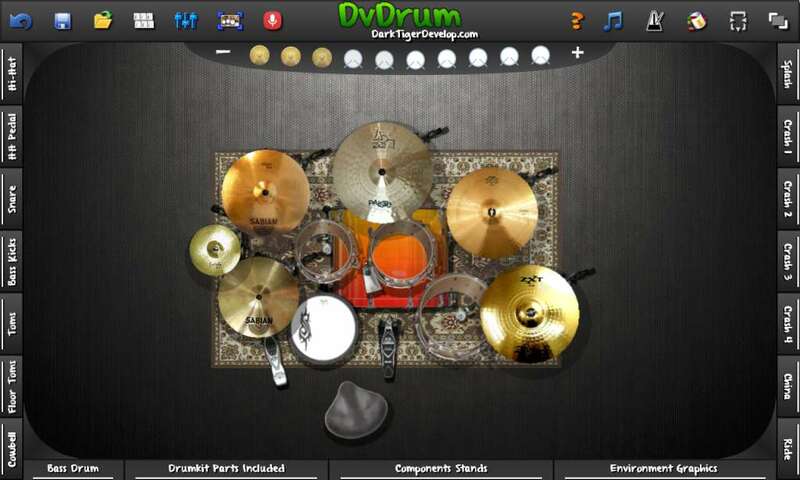 Record your performance, show your drummer skills with DvDrum! 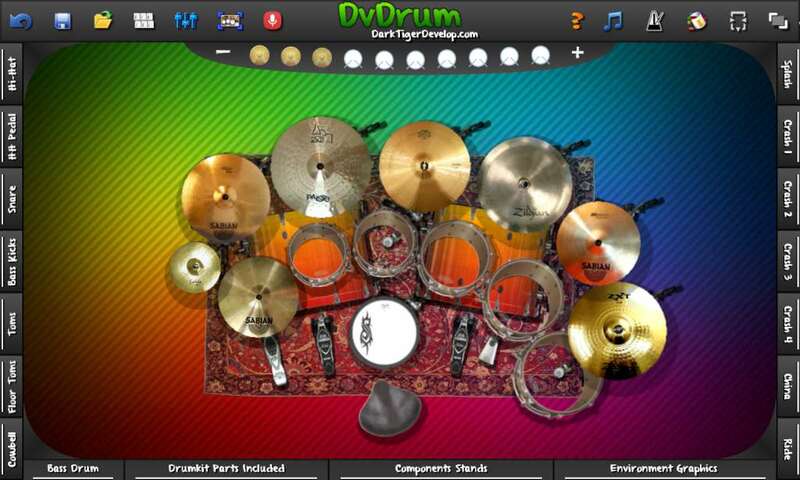 Compared with other thousands of DvDrummer, learns and improve you from the users feedback. Share your video on Youtube or Play Live on Twitch! Hundreds of high quality sounds sampled from real drumkits. Create your Drumkit! Change the composition of your drumkit, remove/add components. Change component graphic and sound, change the carpet, the floor and add some decorations. You can create endless combinations of sound to your drumkit. Choose a sound from the hundreds of sounds and change the pan and pitch, to create a completely new! 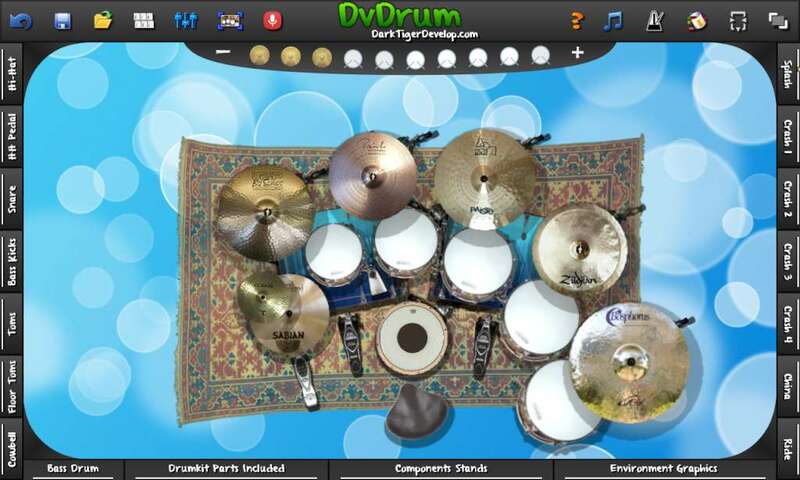 DvDrum supports various types of External Devices such as Joystick, RockBand® and GuitarHero® Drumkit! Can you imagine playing the bass kicks with racing pedals? Exports the drumkit graphic settings, or audio settings or only keys settings. You can export and import only the settings those interest you, and make many combinations of settings customized. Train to keep time with the internal metronome! Optimized to minimize latency between input-audio for best experience. The user friendly and intuitive interface makes each operation easier.